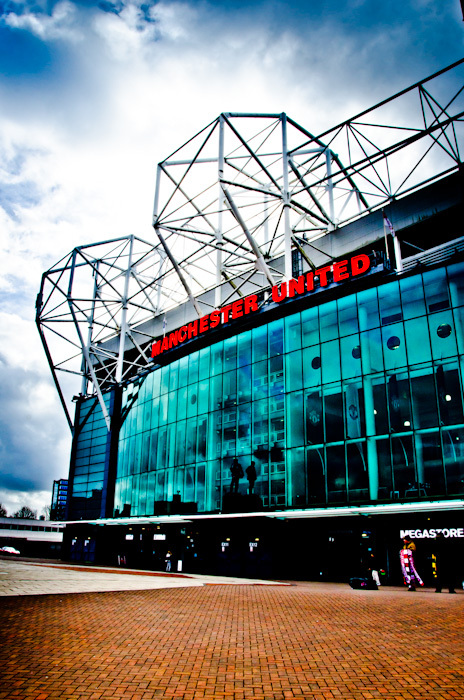 'Took a trip to Old Trafford and this was one of the photographs taken on the day. Clearly, it has had more than a bit of tweaking in the digital editing process. Indeed, it might owe more to the notion of graphic design than photography. But I enjoyed the outcome, as it hints at some of the many dramas that have been played out here in the ‘Theatre of Dreams’. The stadium is a hugely impressive structure in its own right, much different from the dusty redbrick block it was when I first went there as a teenager, just at that moment when the Best, Law, Charlton era was giving way to the Coppell, Macari, Pearson one.